There are growing doubts among top execs about measurable results. The fact that one in three marketers fail to measure effectively doesn’t help matters. The world’s financial troubles have put marketing departments under greater pressure to prove their worth. But are they rising to the challenge? Though research shows that 80 percent of CEOs now distrust the value of marketing work, a recent survey also found that less than one-third of B2B companies properly measure ROI for marketing activity. A significant body of research, collated in an infographic by marketing automation company Eloqua, indicates that there is a gap between the expectations of corporate management and the practices of marketing departments. Check out the full infographic here. When it comes to implementing an effective ROI measurement system, however, B2B marketing departments are clearly failing to deliver. 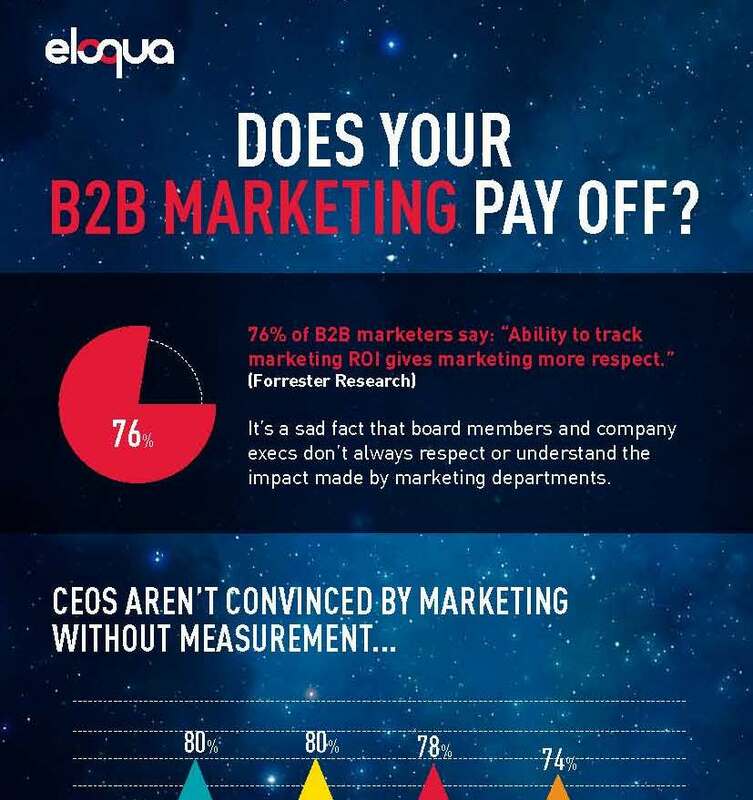 Only 28 percent of B2Bs surveyed by eMarketer answered, “yes,” when asked, “Do you calculate ROI to assess marketing effectiveness?” Another 29 percent said they calculated it “somewhat,” and one-third (33 percent) said their company did not calculate marketing ROI at all. The research also shows that among the companies that do calculate marketing ROI (often using marketing automation software), email and SEO are the best-measured channels, whereas the value of social media and blogging is far less monitored. The infographic also reveals the role of marketing automation software, the use of Google Analytics, and which ROI metrics B2B marketers find most effective. Based at UK inbound marketing agency Tomorrow People, Ahmed is an advocate of content and social media in building relationships and leads for businesses. He originally wrote this article for Eloqua.